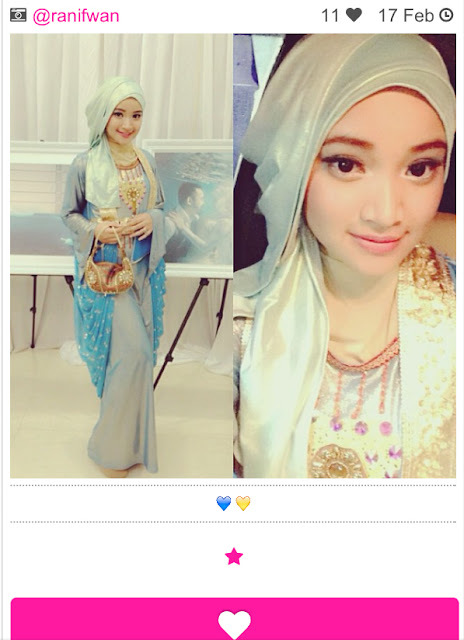 Do you know #myhijup ? or my.hijup.com ? 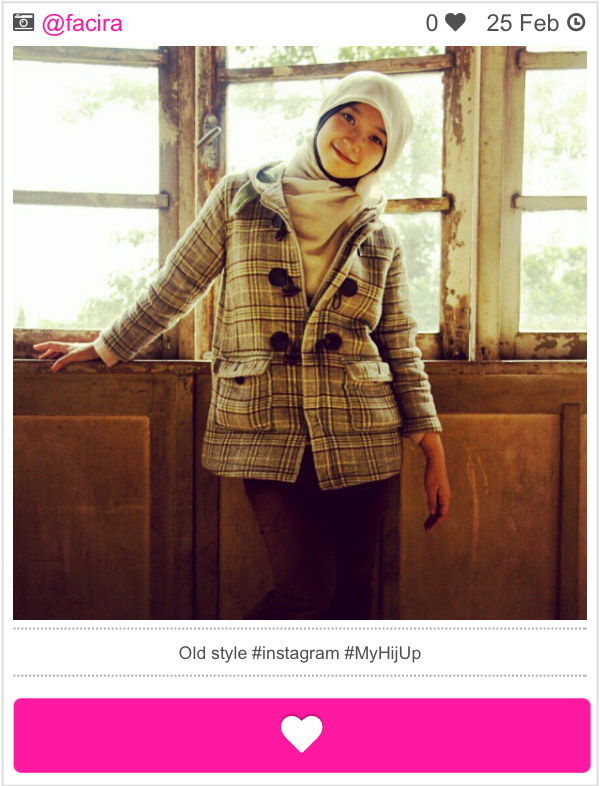 #MyHijUp works when all of the people who share or upload their photos on twitter, or instagram then put the #MyHijUp hashtag , the photos will automatically be on my.hijup.com! 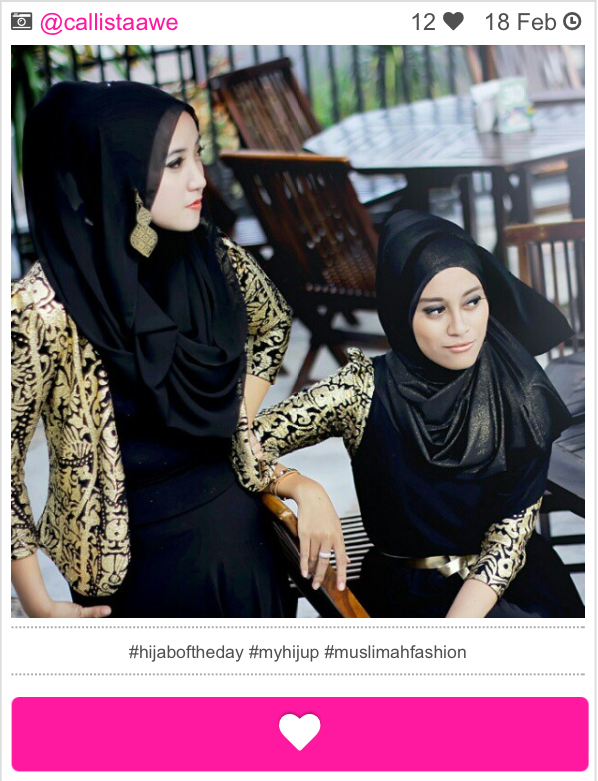 so when you go to the link my.hijup.com you'll find sooo many inspiring stylish hijabis ! dont forget to like the photos you love by clicking the love shape button! So happy when they are gave me to be jury to chose 3 winners from the people who shared their photos with the hashtag #MyHijUp ( period : February 2013). I was totaly confuse and didn't know which one should I chose to be the winner, they are cool, inspiring, stylish, and fun. to be honest.. that was so hard..but i have to choose 3 !! I chose this one cause i love she is style with old style, sooo classy... with a simple hijab style, and don't forget about tone on this pic, vintage right !! and this one... I chose this one because... i love this look, black bold its never getting bored !! warna hitam itu tidak pernah mati, bagi saya selalu menghidupkan sesuatu yang warna apalagi dipadukan dengan warna gold yang memukau. Black is real sensation, even if it is produced by entire absence of light. The sensation of black is distinctly different from the lack of all sensations.